Infant mortality is the death of a child less than one year of age. 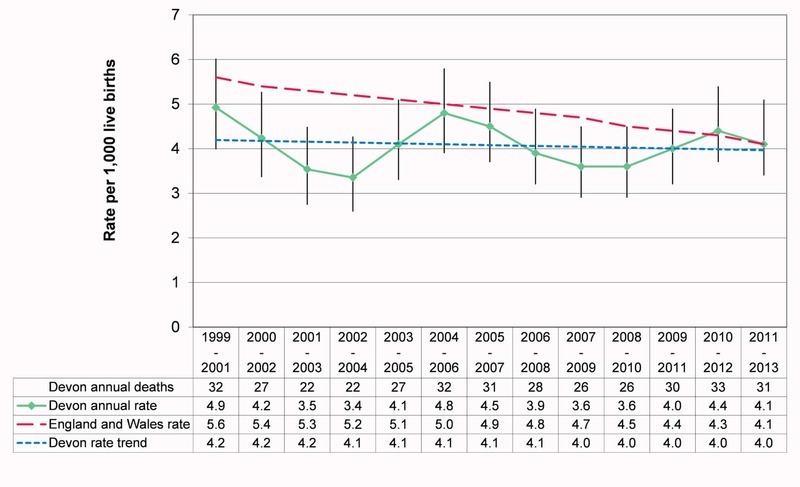 Figure 8.3 below illustrates how rates of infant mortality have changed in Devon since 1999-2001. Three year rolling averages are used because of the low numbers. Although the rates have fluctuated over time, the overall Devon trend is decreasing. 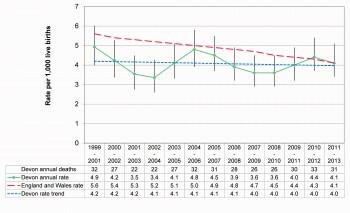 This decrease is however at a slower pace than in England and Wales overall.